Our Year 10 pupils are busy preparing for their qualifying expedition later this term. The Duke of Edinburgh’s Award is something I encourage all children to participate in when they are old enough. It is the expedition section that always gets the most notice, but the other three sections are just as important. The perseverance and resilience needed to develop and maintain a skill, participate in physical recreation and provide service to the community are all worthwhile. This year marks the 60th anniversary of the Duke of Edinburgh’s Award. Mrs Williamson, who runs the scheme in School, and I were privileged to be invited to Buckingham Palace earlier this term, to join in the celebrations and receive a plaque recognising the School as an Operating Authority, licenced to run the Award. It was a great honour to be invited to such a special occasion. 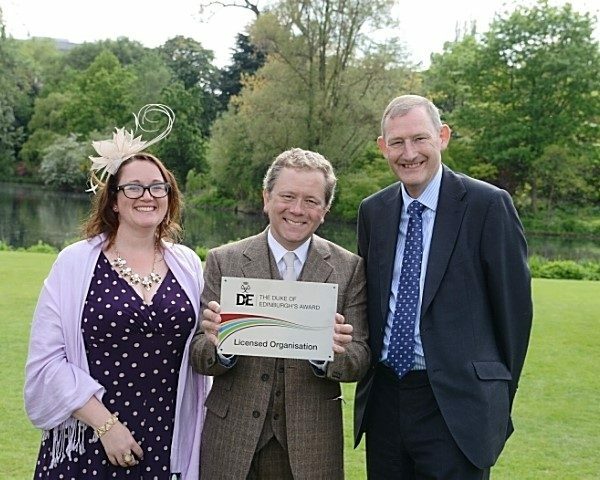 The Palace gardens were a magnificent setting where, surrounded by many other organisations, we met the Earl of Wessex and we were award our plaque by the impressionist Jon Culshaw. I wish Year 10 all the best as they navigate their way around the Durham Dales in the last week of term.